The Shadow Authority will nominate members to form a Shadow Executive Committee. The Shadow Executive Committee will be made up proportionally of sixteen councillors, with eight from Bournemouth, six from Poole and two from Christchurch. 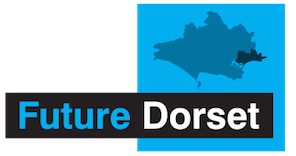 For the Dorset Area Council, the Shadow Authority will comprise all councillors that currently serve on Dorset County Council and the five district / borough councils of East Dorset, North Dorset, Purbeck, West Dorset and Weymouth & Portland. Similarly, the Dorset Shadow Authority will create a Shadow Executive Committee, with a total of twenty members – ten from Dorset County Council and two each from the district / borough councils. Cllr Rebecca Knox, Chair of the Dorset Area Joint Committee, said, “I am delighted that the Government has presented the Structural Change Order. This is a huge step forwards in the creation of the new ‘Dorset Council’. We can now work towards the establishment of the Shadow Authority for the Dorset area, which will be made up of 206 voting members. We expect the first meeting of the Shadow Authority to take place in June. We will work hard to ensure our communities receive a seamless continuity of services when the new council goes live on April 2019. There will be two further orders once the SCO is approved – a Finance Order and a Miscellaneous Order for all other matters. The Finance Order is designed to ensure all previous local government finance legislation is applicable to the new Unitary Authority, as well as some high-level principles for Council Tax Harmonisation. The Miscellaneous Order includes all other provisions for the new authority. In addition, it is possible that a final, third consequential order will follow in the late autumn, should there be any outstanding matters that require resolution.